Song Cheol-ho, 69, became the first mayor of Ulsan to come from the liberal, and ruling, Democratic Party. Since the first local elections in 1995, Ulsan’s political landscape had doggedly remained conservative. 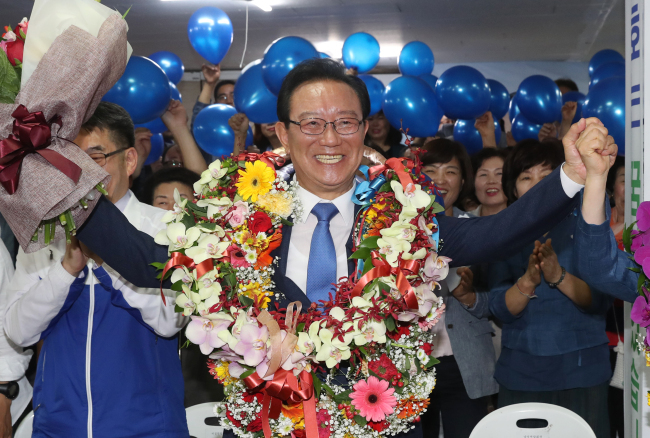 Song, a lawyer from Busan, had run for the post of Ulsan mayor eight times in the past both representing the liberal party and as an unaffiliated candidate, before finally clutching his victory in his ninth attempt. Song’s profile includes experiences of working with late president Roh Moo-hyun and president Moon Jae-in, both of whom were human rights lawyers. Ulsan showed an unprecedented rally for the liberal candidates this year, with 15 out of 19 seats for provincial assembly taken out by the Democratic Party. 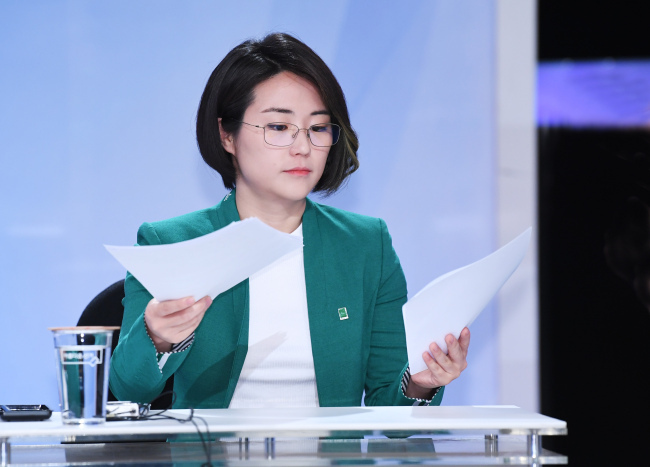 Green Party candidate Shin Ji-ye who ran on a platform of feminism and protection of animal rights surprised voters after finishing fourth in this year’s heavily contested Seoul mayoral race. Park Won-soon from the ruling Democratic Party won the mayoral race in a sweeping victory, continuing his term for the third time. Namesake politicians caught the public’s eye in the June 13 local elections for having the same names as North Korean leader Kim Jong-un, ousted former President Park Geun-hye and Park’s father and one of the founding dictators of Korea, Park Chung-hee. Romanization of the names may vary, but the Korean spellings were identical, giving the local election candidates a boost in their publicity. Some won the race. Kim Jong-un, a female candidate for district councilor of Seoul’s Mapo-gu, became a trending topic for having the same name as North Korea’s leader. She especially garnered attention as the local elections took place just a day after the high profile Trump-Kim Summit, resulting in her name being searched more on the nation’s online search engine. She finished fourth. Park Geun-hye, 29, was elected by proportional representation through the Busan National Election Commission to be the district councilor for Geumjeong-gu, Busan. Park sparked an interest from voters for having the same name as the impeached former president. Ironically, this elected district councilor is from the Democratic Party, while the ousted ex-president was of the conservative Liberty Korea Party. Three candidates had the same name as former president Park Geun-hye’s father, Park Chung-hee. The legal age in Korea to be eligible to run in local elections is 25. But eligibility is hardly a guarantee for a win in the face of fierce competition in the race to represent the people. Given this, in Incheon and Busan, 25-year-old youthful candidates made headlines for winning seats at the local assembly. In Yeonsu-gu, Incheon, Democratic Party’s Jo Min-kyung proudly took a seat as the first young woman to represent the district. 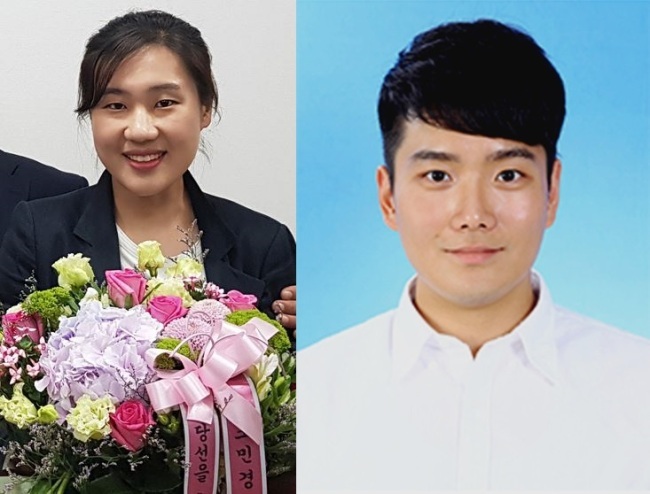 In Yeonje-gu, Busan, Lee Eui-chan, also from the Democratic Party, set a record as the youngest person to represent his area in the local assembly.